Connector kit for installing Garmin GTX-330 transponder. Transponder is not included! 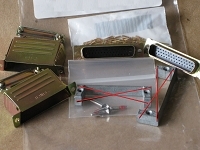 This kit includes the discrete mil spec contacts and mil spec connector body with metal backshell, and the shield termination contacts and connector body as included in the original Garmin installation kit. This particular kit is not sourced from Garmin- therefore, hardware (nut bars and screws) are not included in this aftermarket install kit. It does include one BNC plug for the transponder end of the antenna cable, but no coax or other wire is included. Please note- tray and backplate are NOT included in this sale, but are in stock and available together or separately. If you must have a Garmin sourced connector kit- that is also available, at a higher cost. Please look for OEM connector kit in the listing to distinguish that item. If you do not see it, please send an email for a quote and delivery information. While normally stocked, these are occasionally special order items. If you are purchasing a NEW Garmin GTX-330, a complete OEM installation kit is normally included. 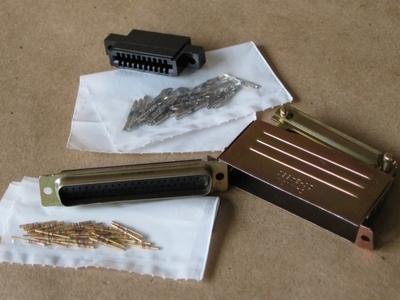 This kit is meant for use in a "re-installation".